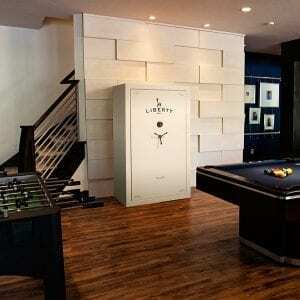 Protect your valuables with The Centurion Series by Liberty Safe! 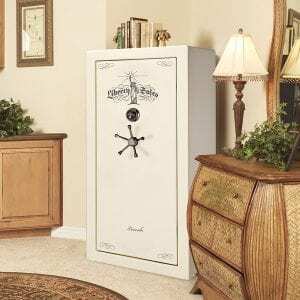 Available in 12, 18 and 24 gun safe models, each Centurion is built in America and the quality shows! Compared to other entry-level safes, the Liberty Centurion is heads and tails above the rest. For those on a budget or just getting started, the Centurion is the safe for you! Engineered to be tough, durable, and capable; these fire rated safes will get the job done! Centurion gun safes by Liberty include 2 layers in the ceiling and door, achieving 62,000 BTU heat resistance. 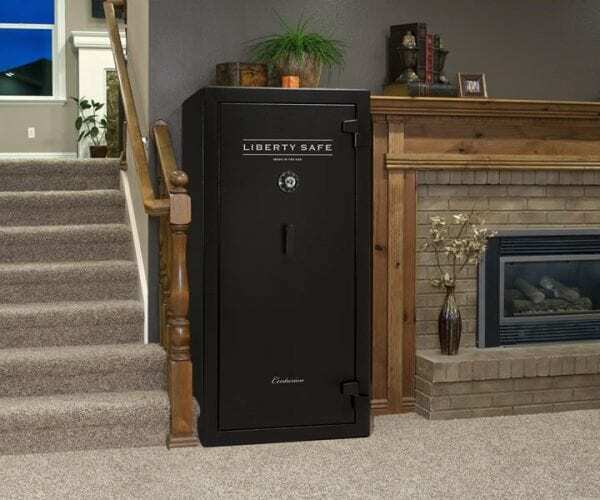 Each Liberty Safe Centurion includes 10 Military-Style locking bars, internal hard plate and Relocker to bring a level of security not found in other entry-level safes. The Centurions are even California-approved firearm safety device! Rest assured, when you’re looking for extra value with more features, choose Centurion safes by Liberty. The Centurion fire package is the minimum recommended level for fire protection. Consider higher fire packages found in our other series for more heat sensitive items. Optional NL electronic chrome lock with red LED light also available. Liberty Safe Centurion logo with black hardware. Optional NL E-lock is upgraded with chrome hardware.